Psychotherapy is working alongside a client to allow them to explore and develop the nature of the issues that bring them to therapy and to develop their potential to consider alternative ways of understanding, experiencing and interacting with their world that allows a greater sense of choice and potential. Ian is a Constructivist Psychotherapist. This approach starts with the premise that the way in which we experience and come to understand the world in which we live is a unique process, specific to the individual and how they have made sense of these experiences. There is the assumption that a core part of our human endeavours is to anticipate events and situations around us, which are bound to our individual perspectives established throughout our lives and over time. Hence we anticipate events by 'templating' or overlaying on to them constructions that we have developed, these constructions are personal and specific to us. Constructivist Psychotherapy undoubtedly will need both the client and therapist to jointly establish where the client identifies themselves as being 'psychologically stuck' and the repeating patterns that the client may identify as unhelpful or self-limiting. Such therapy is a joint venture where the therapist is an expert on the theory and the client an expert on themselves (even though it may not always feel so). The therapeutic relationship is built on bringing these two experts together in a therapeutic partnership. It is a respectful and empowering approach where the therapist cannot make assumptions but must enquire and explore with the client. It involves creating a therapeutic space where the client can begin to give meaning to their experiences. It can be considered an optimistic and creative approach that aims to find ways of experimenting with alternative experiences, this being the essence of potential re-construction of ourselves in the world in which we find ourselves. As suggested by George Kelly (1955) it is the future which tantalises us, not the past. We always reach out to the future through the window of the present. Prior to beginning therapy there would always be an intial assessment either over the telephone or face to face, so as to establish whether a psychotherapeutic intervention is appropriate as well as agreeing the goals of therapy and the number of sessions. There is no fee for the first session nor is there any obligation to commit to therapy following an assessment. 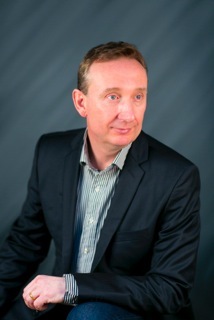 Ian has been working in Mental Health for the past twenty one years in a variety of professional settings. Ian offers particular services to professional bodies and individuals as described in more detail on this website. The services listed on this site are based on Ian’s continuing and varied experience in the field of Mental Health offering clients a professional and customised service depending on their identified needs.